You’ll love this kale soup recipe even if you’re not crazy about kale. 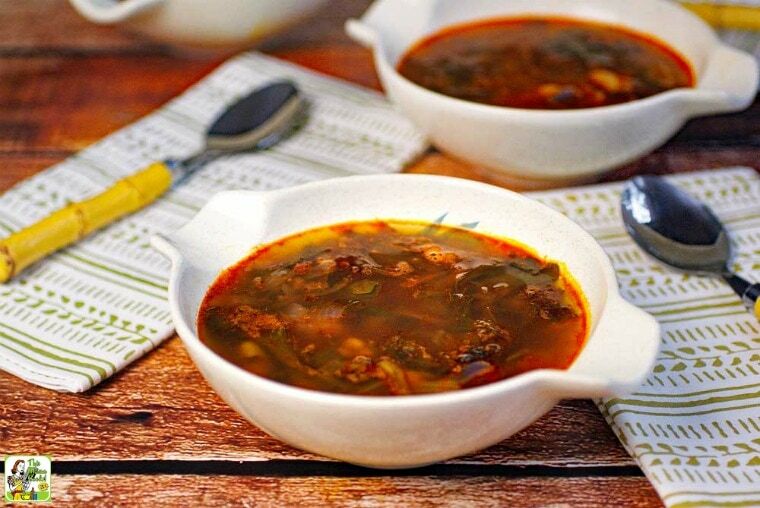 That’s because I’ve packed this hearty kale soup with the spicy goodness of chorizo sausage, zesty tomatoes, cannellini beans, and more! 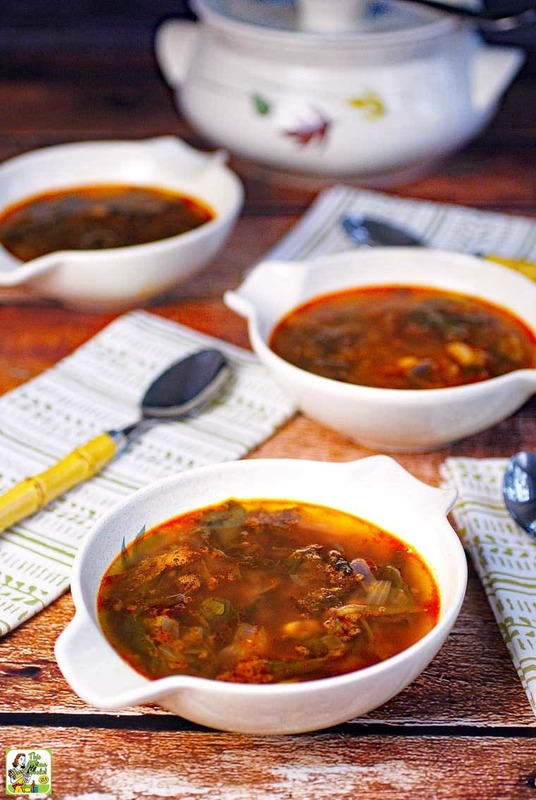 This kale soup recipe is easy to make and can be prepped and cooked in under an hour. It also has a big nutritional punch – especially important during cold and flu season. 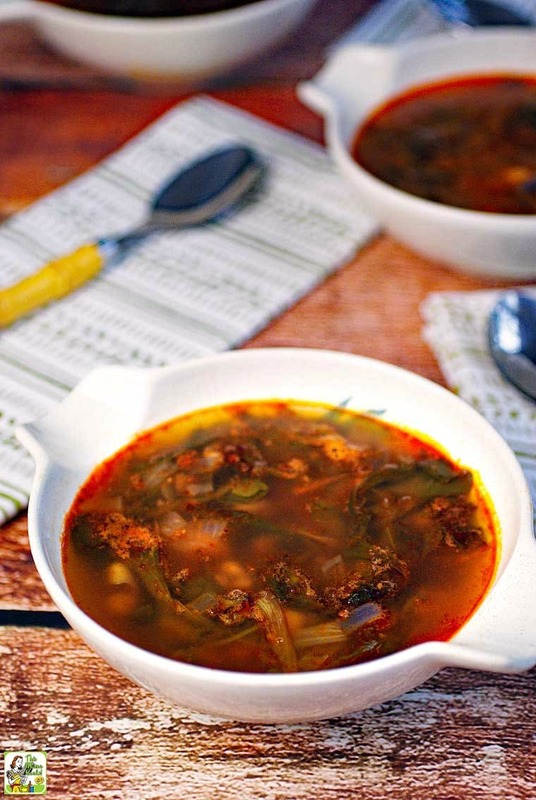 This all makes this Spicy Kale Soup Recipe the ideal dish for a cold winter night! Pair it with a salad and a loaf of your favorite gluten free bread or tortilla chips. Did you know that eating cooked kale offers more iron per ounce than beef? However, some of kale’s nutrients can be difficult for your body to absorb. That’s why you should pair kale with a fat, like chorizo sausage, to get the most of kale’s nutritional benefits. To round out this kale and sausage soup, I’ve added canned cannellini beans, canned tomato sauce, and onions. Cannellini beans are filled with B vitamins, including B12, iron, potassium, zinc, and other essential minerals. So your kale soup is easy to prep, make sure you buy prewashed baby kale. That way you avoid washing and chopping big leaves of kale. 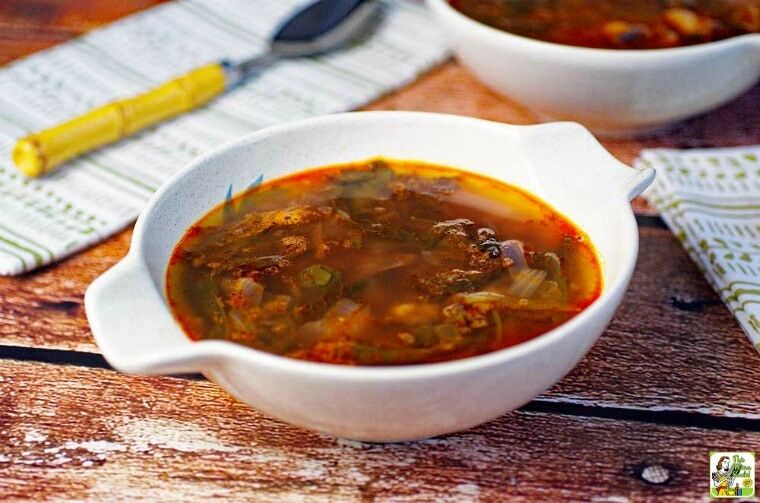 If your supermarket doesn’t sell chorizo for your kale and sausage soup, you can make some from scratch using my homemade chorizo recipe. What I really like about using chorizo in any sort of recipe is that it’s so flavorful and spicy that you don’t have to add much in the way of seasoning – maybe just a little salt and pepper. If you’re gluten free, make sure to check the label when buying any kind of chicken broth or vegetable broth. Double the recipe and freeze half for later when you’re too busy to cook. Just defrost and heat up the soup in the microwave. 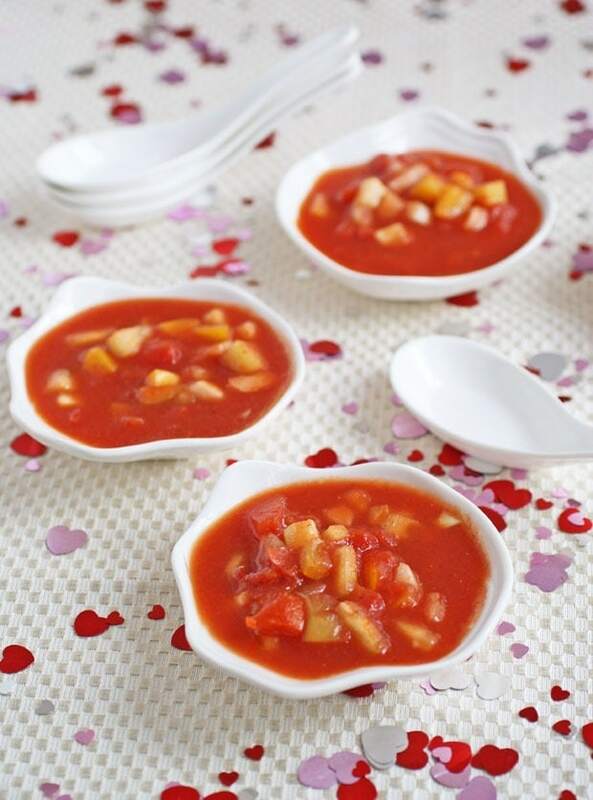 Do you love spicy soup? Check out this Pozole Recipe. If needed, remove chorizo sausage from casings. Over medium high heat, cook chorizo, red onion and tomato sauce in a large soup pot until chorizo has browned and onions are translucent – about 10-12 minutes. Place colander into sink. Pour cannellini beans into colander and rinse thoroughly. Add cannellini beans, baby kale, tomato paste, and broth to pot. Add salt and pepper to taste. Bring to boil. Reduce heat and simmer for 20 to 30 minutes. Originally posted on November 18, 2013. Updated with new pictures and information. Posted in Gluten Free, Recipes, Soups, Veggies and tagged chorizo on February 5, 2018 by Anne-Marie Nichols.